As part of my series about prominent entrepreneurs and executives that overcame adversity to achieve great success, I had the pleasure of interviewing Scott Schmaren. Scott has appeared on “Oprah” and Oprah said, “If Scott can do it, I can do it and so can you!”. Scott is a regular guest on The Howard Stern Show and Daily Mail. He has also appeared on Fox News, Coast to Coast Radio and has been featured in Reader’s Digest and The New York Times. Scott recently appeared on the television show, “Moving America Forward”, with William Shatner and Doug Lewellyn and was honored for his work. 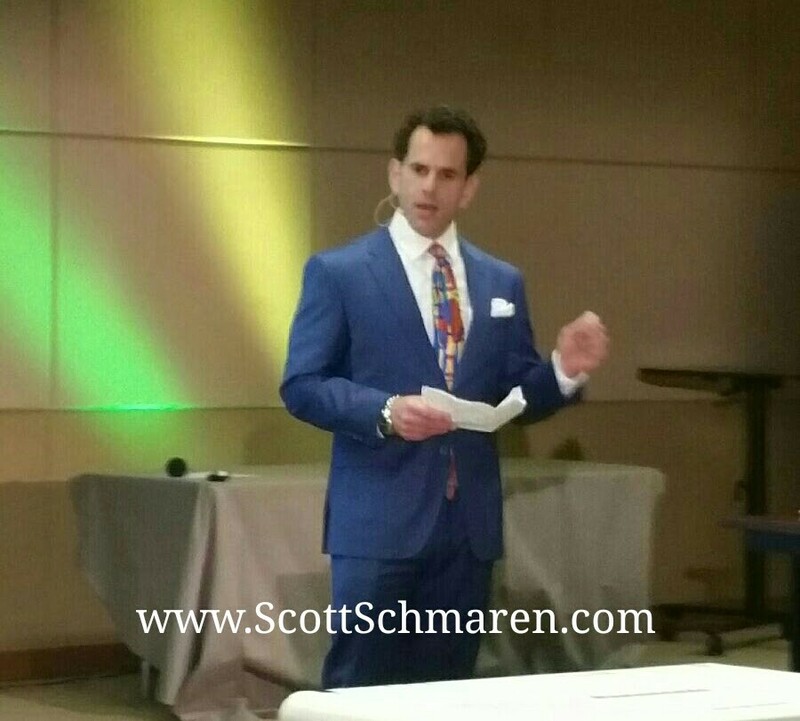 Scott has also spoken for many organizations including the women’s organization “Dress for Success” at their “Leadership Conference” and their “International Success Summit”. Scott has also presented a Ted Talk. Scott’s process of transformation is being used to help cancer patients, children and adults from all walks and areas of life. 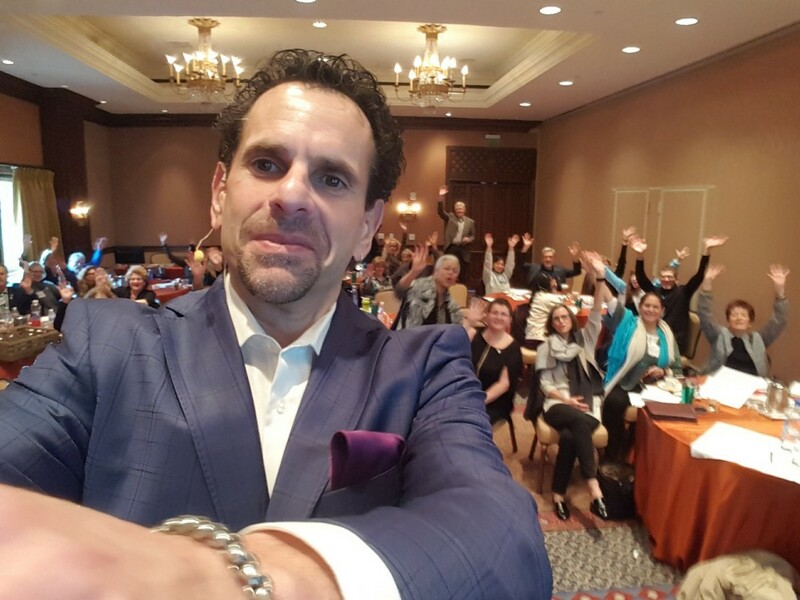 Scott has committed his life to helping others overcome the obstacles and challenges in their lives and to help them create and live the life of their dreams. 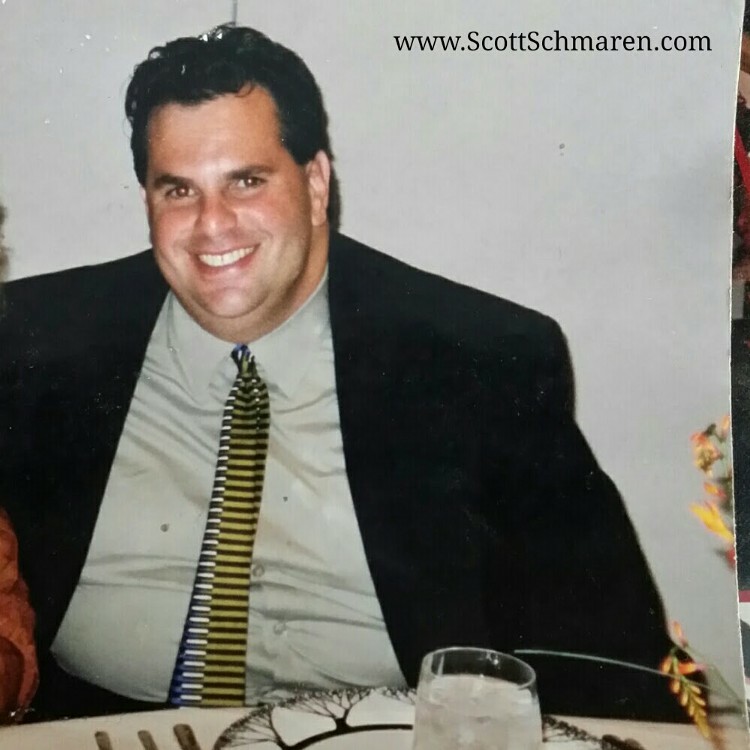 Scott Schmaren: I spent most of my life morbidly obese (even as a child) and during my life I had lost and gained hundreds of pounds, many times…I had just gained back over 150 pounds and I felt hopeless and desperate. I weighed 360 pounds (I am only 5’7”) and I had a 56” waist…I desperation I lost my will to live and I look an entire bottle of sleeping pills and pain killers (enough to kill an elephant). I remember sitting in my chair that was my safe place. I was afraid yet relieved that my pain would end soon. At some point I passed out…I never went to a hospital. The next morning, I opened my eyes and I saw the sun shining in through my living room window as if coming from heaven. It was a surreal moment. I had a tremendous sense of peace (it really isn’t explainable in words), I thought I was dead. Then I realized that I was alive and in the moment I got clarity and I accepted responsibility for my life and in that moment I decided to change. I got out of my chair and set out on quest as to why there were two people inside me. The person who wanted to be, happy, healthy, thin and successful and the other who always pulled me back when I started making progress. I learned that it was my subconscious that was controlling everything I did. I began to study different mind technologies like: hypnosis, NLP, guided imagery, meditation, creative visualization and many others. I began to work on myself creating new systems and techniques from what I learned…Fast forward…I have lost and kept off more than 180 pounds now for many years and have transformed every area of my life. I was a real estate agent at the time and the little voice in my kept telling me that I need to start using what I have learned and created to help others…So, I walked away from my real estate career and began to help people. I created “I Am Amazing Inc.” as a company dedicated to helping others by speaking to companies and organizations individuals and groups. Schmaren: When I started “I Am Amazing Inc.” was not clear exactly how I was going to do that. Having no experience as a speaker or a coach. I was frustrated. I knew the world need my message and that people needed my help…Money was tight and I had three sons going through college. It was scary and frustrating. Schmaren: What kept me going during those challenging times was the clear vision I had of how I could help others and how important it was to help people discover how amazing they are and help them create and live the life of their dreams…To rise above where they were in life. Schmaren: I overcome the adversity of starting this business from nothing was because of my three best friends: Patience, Persistence and Faith…All three of them kept me going knowing that however long it took or what obstacles or challenges I may face…I would keep going…Faith, also kept me going that even though I did know everything I need to know starting on my journey my Faith told me I would learn it along the way. Stop trying to be perfect: Perfection is the seed of failure. Everyone has an idea how “it’s” supposed to work out…perfectly. They become so focused on the perfect outcome (the destination) they don’t see all the things around them that could help them achieve their goal. Take off the blinders and become aware of what it around you. One of my clients is a baseball player and he struggled with trying to perform perfectly, as an individual however baseball is a team sport they relies on a team to work together to win and be successful. The moment I was able to help him change and shift his focus as a team player, immediately his performance improved and all the stress and anxiety of trying to be perfect went away and that freed up his energy to be a great team player. Consistency is the flower of success: The next major reason people fail at accomplishing anything is they aren’t consistent with their daily routine. They will try something for a while and if they don’t get the result they want right away they quit. They think that they aren’t good enough or what they are doing doesn’t work. Look at an Olympic athlete winning a gold medal. You see them on the podium receiving their gold medal, what you don’t see is all the years of sleeping, eating and training…doing the same thing over and over, for years…Consistency of a daily routine. Repetition is the mother of all success….A very successful business man once told me, “Success is boring, it is doing the same thing over and over everyday….however the results are exciting!” This holds true in business also. A successful salesperson keeps making sales or prospecting calls until they make a sale, which means they must get used to hearing lots of “No’s”. Schmaren: I have worked with many trainers that have taught me many things. My greatest mentor and hero is Abraham Lincoln…His life story of overcoming so many setbacks and challenges in his life and still holding to his values and beliefs even in some of our country’s most difficult times and his decisions would affect millions of people. Schmaren: Yes! I have created a life transformation seminar based on my life transformation and the work I have done with my clients. It is called, “The Quatric Formula for Success”. The program is a system that any person, company or organization can use to transform anything in any area of life (personal, business, sports, sales and more. Schmaren: That is an easy question..Our world needs more” Kindness and Love. If we truly want this world to be a better place all we need to do come from a place of Kindness and Love…Think about it..
Schmaren: You are the master of your life…You are already powerful beyond all measure…Now you need to believe it…and live it….Everyday of Your Life!!! !